What are the tests needed to confirm the authenticity and quality of manuka honey? There are 9 tests that are done today to confirm the authenticity and quality of manuka honey: Content of leptosperin; Concentrations of DHA; Concentration of MGO; Concentration of HMF; Forecast of MG, NPA + HMF; Color & Conductivity; Minerals, Trace elements & heavy metals; Content of tutin; C4 sugars. All these are done by specialized laboratories and producers should all take these tests to ensure the safety and quality of the product. The test can also be ordered by anyone else, who wants to know the truth about his honey. After all, manuka honey is not a cheap honey and we buy it for its health benefits. 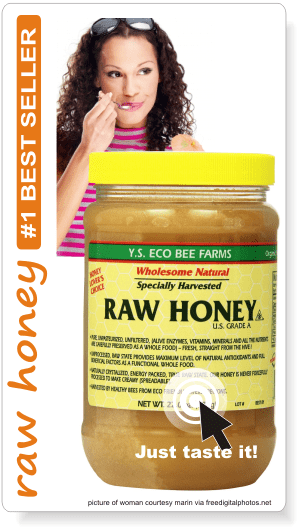 Who would want to eat fake honey, possibly toxic? It’s a test needed to check the authenticity of manuka honey. Leptosperin is a substance found only in manuka plants (and relatives, kanuka included). It represents quite a recent marker to check the authenticity of these honeys, being discovered and patented in 2014 by the Japanese researcher Kato. It’s a substance very stable in time, which recommends in easily detecting if a specific honey comes from the manuka nectar, or not. It helps with labeling the products: manuka, manuka blend or multi-floral honey. It also helps in detecting if the honey was adulterated. UMFHA holds the New Zealand license for the use of Leptosperin testing in manuka honey. DHA comes from dihydroxyacetone and represents a substance found in the nectar of manuka flowers, which will later become of MGO (methylglyoxal) in honey. The concentration of DHA in nectar can vary from tree to tree. The main sugars of honey, fructose and glucose will also be measured. The results can be used for ranking samples, but for many reasons the actual concentration of DHA in honey from an area may not be the same as that found in the nectar from the same area. MGO stands for methylglyoxal, and its amount gives us the most important difference between manuka honey and other types of honey. 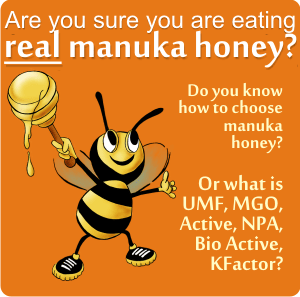 MG results are converted to the commonly used Manuka honey grades such as non-peroxide activity (NPA) and unique manuka factor (UMF) using a conversion equation. The problem with DHA and MGO is that they change their concentration in time. Which is why another test needs to be done, a test that will predict the possible evolution of these concentrations in time (Forecast MGO, NPA + HMF). Why do we need to know this HMF? Because DHA found in flower nectar turns into MGO in honey and this process is much influenced by heat. The higher the heat, the faster the conversion. Which means a higher content of MGO. Beekeepers may be tempted to heat the honey to raise its price. BUT, if honey is heated above 30 degrees Celsius, this HMF (hydroxymethylfurfural) can be created in honey. Which is why it is measured to see if manuka honey got its high content of MGO from heating. All these markers will change in honey over time. The tests are based on initial test results, and assume constant storage temperatures. Any manuka honey which was freshly harvested, contains low levels of MGO and high levels of DHA (from the plant). When kept at 37 degrees Celsius, there will be a decrease in the DHA content and a related increase in MGO (according to a research published by Christopher Adams, Merilyn Manley-Harris and Peter Molan, from the University of Waikato in 2009). The explanation of this process is associated with the interaction of the DHA in honey with various naturally-occurring proteins and amino acids. A manuka honey sample with a high DHA concentration has the potential to turn into a manuka honey with a higher MG concentration than a comparable manuka honey sample with a low DHA concentration. Yet, both DHA and MGO also naturally decrease over time, so there is a limit to how much a manuka honey’s MG concentration can increase – no matter how long it is stored. Which is exactly what the test will tell: the maximum MGO level, at 3 different temperatures, as well as changes over a 12 month period in MG, NPA/UMF, & HMF. For example a sample of manuka honey with an initial content of MGO of 196 mg/kg, at a storage of 20 degrees C, will have in 4 months 424 mg/kg, in 8 months 567 mg/kg, in 12 month 676 mg/kg. At a storage of 34 degrees C, in 4 months it will have 756 mg/kg, in 8 month 734 mg/kg and in 12 months 555 mg/kg. Another forecasting report is Shelf Life. It’s a test needed for the “best before” label and forecasts how the blended honey will change over time at different storage temperatures. Using an initial test result for the packed honey the report forecasts MGO, NPA(UMF), & HMF over a 5 year period, at 3 storage temperatures. * peroxide activity: honey’s acidity (low pH), high sugar concentration, and the presence of bacteriostatic and bactericidal compounds such as hydrogen peroxide, antioxidants, lysozyme, polyphenols, phenolic acids, flavonoids, and bee peptides. These features are sometimes collectively referred to as honey’s ‘peroxide’ activity. 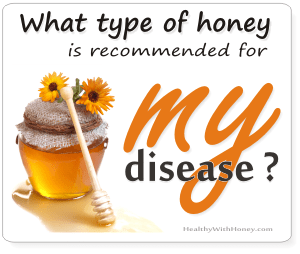 Read more about honey in the article What is honey. 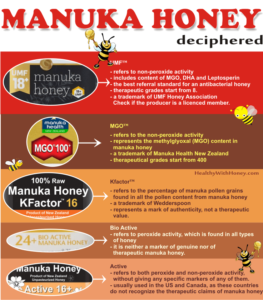 read more about which manuka honey can be trusted and which not! This test measures the Brix, colour, moisture and conductivity of honey to help determine honey floral origin. This test is applicable to all types of natural honey produced by bees from flower nectar and exudates from plants and insects (honeydews). This test does what it says, analyses a wide range of minerals, trace elements and heavy metals, including aluminium, arsenic, copper, chromium, iron, mercury, lead and zinc, which can be present in honey. Tutin is a highly neurotoxin which can be found in honey, coming from the honeydew bees gather from the tutu shrub in New Zealand, called Coriaria arborea. 72% of the volume of honey harvested in New Zealand comes from high risk areas, which are above latitude 42 degrees south (Northern Hawkes Bay, Bay of Plenty and Coromandel). Seasonal risk is highest for harvest dates between 1 January and 30 June each year. In 2008, in Coromandel, 22 persons had a medium to high poisoning and most of them were hospitalized. After that incident, the Ministry for Primary Industries brought in food safety regulations requiring honey to be tested for Tutin. The maximum level of tutin allowed is now 0.7 milligrams per kilogram. This came into effect in New Zealand law on 12 March 2015. For some reasons (! 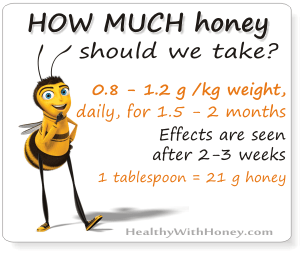 ), the jars of honey packed before 12 March 2015, are still considered good if they meet the previous limits of 2mg/kg tutin for extracted honey and 0.1mg/kg tutin for comb honey. Personally I found this difference, from 2 mg/kg to 0.7 mg/kg to be quite big, so I don’t understand how can they say they are still eligible. Probably because it is impossible to withdraw all the manuka honey already on the market. For many reasons. No, it’s not explosive sugar. It’s a test that tells if your honey has been “enriched” with additional sugar, mainly cane sugar and high fructose corn syrup. C4 represents the photosynthetic pathway used to produce sugar from tropical plants like sugar cane or maize (corn). The nectar collected by bees comes from plants use a different process of photosynthesis, referred to as the C3 pathway. There is a measurable difference in the ratio of the naturally occurring carbon-12 and carbon-13 isotopes in sugars arising from the C3 and C4 pathways, and this test uses this difference to identify whether C4 sugar appears to have been added to the honey. There is an internationally accepted limit for apparent C4 sugar content (as measured by this test) of 7%. In recent years it has been shown that Manuka honeys can have an apparent C4 sugar test result that is higher than 7%, even when it is clear that no sugar has been added. Ongoing research is being undertaken to investigate this, and perhaps identify an alternative way of detecting sugar adulteration. In the meantime, this remains as an important test for access to some international markets. Analytica Laboratories are located in New Zealand and have a fast turnaround time and competitive price. You can send them one sample and let them take care of the rest. Besides, it’s the only laboratory in the world that can analyse leptosperin. Here are some of their prices, in NZ$, exclusive of GST. Any honey type can have a 3-in-1 test and the results will give an indication of how much (if any) Manuka nectar was collected by the bees when that honey was made. Tutin test (individually tested): $80.00 per sample, done in 1 – 2 Days.
! Be careful when buying honey from locals in New Zealand. Do not EVER buy honey from a road-side stall in New Zealand (especially the North Island) without seeing the results of a tutin test.
! Tutu doesn’t grow in Australia. Yet, when buying manuka honey from there, keep in mind that they are not so strict with the regulations and standards regarding this honey.
! It is important to know which are the symptoms of such a poisoning. It can be vital to recognize them and then immediately search medical care: nausea, vomiting, giddiness, headaches, abdominal pain, convulsions, rigidity of limbs, and unconsciousness. Some symptoms last for up to 6 weeks including memory loss, anxiety, pins and needles in fingers and toes, a heavy stiff numb feeling and death. (Goodwin, Mark (2013) A New Zealand History of Toxic Honey Page 155). Read more here: A new dispute on manuka honey market. Is it toxic or not? 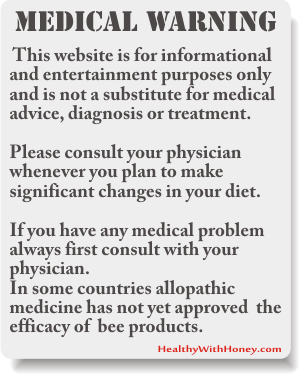 You must read this: Beware of the fraudsters of manuka honey! The celebration of manuka honey. Is MGO700 better than MGO300? 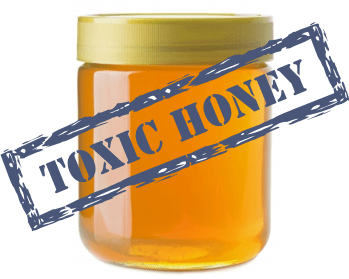 Is manuka honey toxic? A new dispute on manuka honey market: Is it toxic or not?